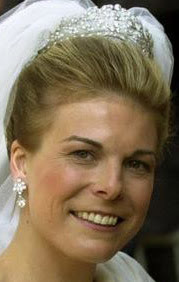 Did this tiara belong to Princess Louise of Orange-Nassau, Hereditary Princess of Brunswick-Wolfenbuttel? Is this tiara part of the Orange-Nassau Family Foundation? I think I published a comment about this, but I don't see it. 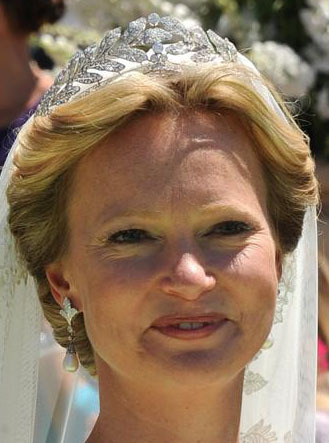 This is a beautiful classic tiara that will always look good on the wearer. 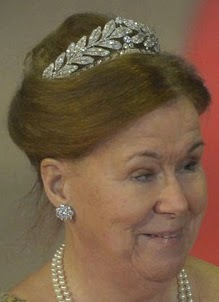 However the right tiara hair sets off the tiara. Thanks for putting together this website! I found you after G00gling "Cubitt Shand Tiara" and have now spent many happy minutes browsing around. What a great collection of pictures you have! Love it!